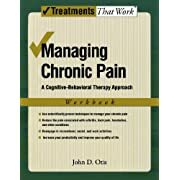 If you suffer from chronic pain you will want to read about how to improve pain management. In this online guide we show how to control many kinds of chronic pain naturally including the pain that pregnancy and childbirth causes. 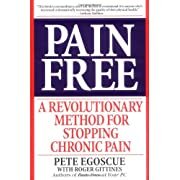 For many people, pain is a chronic condition - or at least one that occurs frequently enough that they feel they have to seek out on-going relief for it when it rears its ugly head. There is no one size fits all pain management tool. Everyone is different in terms of what we find effective. You have to find a tool that's right for you - and that means understanding all of your options as well as taking precautions for safety purposes. Understand that with long-term pain management, you might have to switch things up over time. Sometimes, with pain, a certain treatment will become less effective and you'll need to give your body a break and try something different. One thing you need to know as you navigate this journey is that you're certainly not alone. 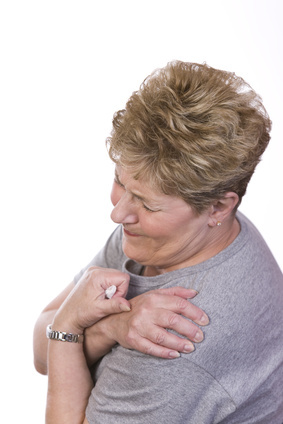 The American Academy of Pain Management offers statistics that more than 50 million Americans have chronic pain. It hinders your ability to work, and can result in a lower quality of life. What Kind of Pain Should You Be Managing? There are many conditions that cause pain. You might suffer from one - or a combination of many conditions, making your treatment more difficult - but not impossible. Frequent headaches are the most common type of pain that men and women seek help for. They can affect you all over your head, just behind the eyes, or on one side of your head. They can vary from a mild, dull feeling to a throbbing, blinding migraine. Some come and go in a flash - repaired before you even have a chance to take something for it. Others won't go away, and then you're stuck having to find relief in some form. The first thing you want to do is see what's causing your headache pain. Is it stress? Your nutrition? Do you only get it after physical exertion, or when you fail to get a good night's sleep? You might be able to manage your pain simply by making lifestyle changes. Sometimes you have headache pain due to other medical conditions like a sinus infection - or something more serious like a blood clot or brain tumor. This isn't usually the cause, but if your pain never ends, it's time to make an appointment with your doctor. Pregnancy pain is another common type of pain that people (women) seek relief for. There are many sharp, sudden or dull, lasting pains during pregnancy - and for a new expectant mother especially, this can be alarming. Back pain affects millions of men and women - most often after the age of 30. It can be caused by a simple spasm or tenses up muscle - or something more serious like a ruptured disk or broken bone. Sometimes it's a symptom of another disease like Scoliosis, kidney stones, or Endometriosis. Even stress can cause back pain in a person's body because you're constantly tensed up during the day. Like headaches, back pain can be mild and dull or sharp, intense and throbbing. Your best bet is to be proactive and strengthen your back to prevent injuries. Lose weight and exercise your core. Back pain can come and go. Sometimes it will only last a day, or maybe 2-3 days. But for other people, it's a never-ending chronic pain that has to be managed for a better quality of life. 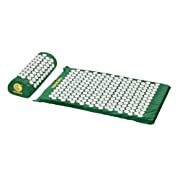 This how to improve pain management should be helpful to get you some relief. Have you ever been in a doctor's office where they had a cute little pain chart for you to look at? No matter what your age, the doctor will point to the smiley face chart and ask what your pain level is. The chart typically goes from a scale of 1 (no pain) to 10 (worst pain imaginable). The smiley face loses its smile as you go up the chart, until you see a red-faced icon with tears streaming down its face. You need to first diagnose how bad your pain is. You don't want to be getting surgery for a mild pain, and you don't want to try treating yourself with a single dose of Aleve or Tylenol if you've just been hit by a car. Frequency is an important part of your pain management strategy. Whichever option you choose, make sure that using it too often won't actually hinder your ability to manage your pain. Using headaches as an example, sometimes you can actually cause your own headaches because you overmedicate. 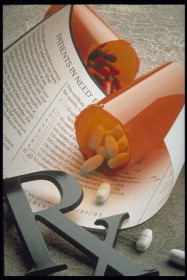 Medication overuse headaches are technically known as an analgesic rebound headaches. Track how often you use headache medicine. Is it more than twice a week? If so, you could be doing more harm than good by taking headache medicine. Not only can the frequency increase, but also the amount of pain that you have and the length it lasts. If this happens, you have to rely less on headache medicine and more on other pain management strategies. It might feel hard to do at first but then you'll actually suffer less intense and less frequent headaches. Non-interfering relief is important to consider when working on a pain management strategy. You'll often see certain pain relievers with warnings, like you might get drowsy, you shouldn't operate machinery (like a car), etc. If you're dealing with frequent or chronic pain, and you have to work and stay alert, you don't want to be out of it 24/7. In fact, even if you're home, you don't want to sleep your life away, so find a management tool that lets you remain active and alert if possible. Sometimes age will factor into the equation. You never want to give a young child or even a teen a dose of pain reliever that isn't fitting for them. And even with elderly individuals, sometimes some medications aren't suited for them - or they may interact with other medicines negatively, so you have to be careful. Safety with other medical conditions is important. It's not just the medications, it's the conditions themselves. You need to make sure that if you have any kind of medical condition, you ask your doctor if a particular pain management medication is okay for you to take. For example, let's say you have asthma, ulcers, or a liver or kidney disorder. You might not want to take even a simple over the counter aspirin like Excedrin because it's not good for people with those conditions. Aspirin, Acetaminophen or Ibuprofen are the most common pain relievers that you're probably used to. 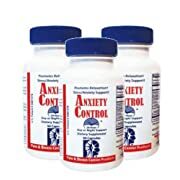 You go to your local grocery store, pick up a bottle of Aleve or Tylenol, and you hope to rid yourself of the pain of a headache or even a mild aching back. Prescription medications are the next step up. This is when a simple over the counter pill won't help dull the edge of the pain you're feeling. But the problem with these is, you usually eel drowsy and if you work and have to drive, it can cause problems by interfering with your daily routine. Nerve blocking can be used as a solution because it's not as invasive and risky as surgery is. This is when the doctor injects a medication directly into a spot where your nerves are causing pain to your body. It numbs the nerves so that you don't have to feel pain in that area anymore. Surgery is an option depending on what your type of pain is. If it's a chronic condition and pain relievers that basically keep you sedated or drowsy aren't an option, then you might want to consider this path. Surgical treatment varies. Sometimes, a doctor can snip something (as in the case with a discectomy where a portion of a herniated disc is removed) and your pain is gone for good. Other times, you may have to have something inserted into your body to help you manage pain. For example, back and neck pain might be managed with a pain pump or stimulator. A pain pump delivers medication right to the source so that you don't have to run to the doctor whenever you're hurting. 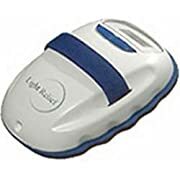 An electrical stimulator delivers electric impulses that help get rid of or minimize your pain. Physical therapy can range from simple ice or heat packs to more individualized treatment where you're working one on one with a specialist to help you regain normalcy in your life. The trainer might have you do a variety of stretches, help you gain strength in certain areas of your body, and work with you to assist in making you more flexible. Exercise is something your doctor might actually prescribe when you're in pain. Again, back pain is a good example of this. There are stretches you can do on the floor to strengthen and stretch muscles without the need of a trainer. Chiropractic therapy is perfect for those who are in pain due to a misalignment of your bones and muscles. This is a natural, non-medicated option for those seeking pain relief. Psychiatric counseling is another thing your doctor might recommend. When you do suffer from an on-going pain issue, it can result in depression and anxiety - and that, in turn, adds to the severity of the pain. It's a vicious circle. Having a psychiatrist to unload your emotional stress to can help alleviate your pain to some degree, and help you to better manage it using other therapies. 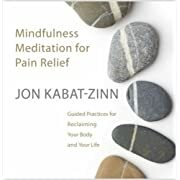 Meditation and hypnosis are relaxation methods that you might try to relieve your pain. Some people don't realize the power that your mindset - your mood and stress levels - have over how much pain you're in. You might find that your pain goes from an 8 on the pain chart to a 5 or 6. 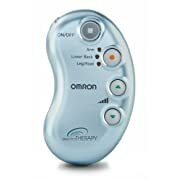 This type of alternative pain therapy helps you get more mileage out of your other pain relief strategies. Prevention Magazine had an article about how deep breathing is commonly used in childbirth to alleviate pain - but it's not just for women delivering a baby! At the very least, deep breathing is an opportunity for you to learn how to make the pain matter less, and not focusing on it will naturally alleviate it to some degree. Acupuncture is a holistic practice for dealing with many things - pain being one of them. It might sound like having small needles strategically placed in your body would increase pain, but it's just the opposite. You might even be able to manage your pain just through your nutrition choices. Caffeine, for example, has been known to contribute to headaches. Sometimes a lack of caffeine, like when you're weaning yourself off of sodas, can cause a headache. There are also fun ways to manage pain that have proven effective. No one should have to live in a state of pain. Even infrequent bouts can cause many people to have increased anxiety and stress. Make sure you stay aware of the frequency and length of these episodes and talk to your doctor to see what kinds of options you have. 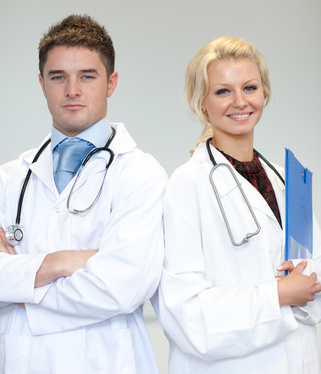 Remember that not all doctors think alike about how to improve pain management. You may want to have a second or third opinion so that you get a well-rounded view of what you can do to manage and hopefully eliminate your pain for good. Having a baby is the most beautiful and wonderful experience a woman can have. It shouldn't be marred by the pain that pregnancy and childbirth causes, but it's an unfortunate reality. There are all kinds of ways you can manage pain while pregnant or having a baby - some are medical in nature and others are alternative, non-medicated treatments. You have to choose what's right for you and your baby. Pregnancy lasts 9 months - and during that time, you'll go through a range of pains such as sharp little stabbing pains that worry you, aching feet and back pains, and more. Labor pains are even worse. Some people joke about "labor" living up to its name - but there's no reason why you should have to suffer for 10-24 hours or more on what should be one of the happiest days of your life. Let's investigate some pain management strategies so that you feel more empowered about your choices through pregnancy and then into the labor and delivery process. Babies take up more and more space in your womb as the months go by. At first, you might not be showing yet, but you could be pregnant and feel a few sharp, worrisome pains in your stomach area. This is usually nothing to worry about, but if you're concerned, or if they're frequent or severe, it's always best to call your doctor. One thing that might help is if you move around and change positions. If your chest is hurting, especially at night, then it could be heartburn, which is common during later stages of a pregnancy. Sitting in an elevated position might ease the pain. Your sides and your stomach are being stretched to the limit at this time. 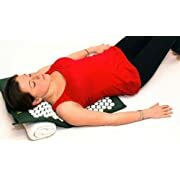 You may want to get a body pillow to help support the weight of your stomach while you sleep, and instead of lying on your back, lay on your side with one leg draped over the lengthy body pillow. Back pain is typical for women who are pretty far along in their pregnancy. Make sure you get up and move and do stretches to help strengthen your core during this time. Leg pain can be an issue - and swelling might cause your legs to be painful to the touch. You may not feel much like walking, but sometimes getting the blood flowing in your legs is what will alleviate the pain the most. During labor, you'll find that changing positions helps tremendously. You'll want to walk the hall before your water breaks, possibly sit on a birthing ball, which is like a yoga ball, and do careful squats to ease the pressure during childbirth. Many women like to get on their hands and knees to find comfort during this strenuous time. And some maternity wards have something they can put over your bed to let you pull up on the bar and get the pressure off your back. Deep breathing is something that many women use during pregnancy and labor to help with pain. You've probably seen short breaths being used in Lamaze classes at times, but deep breaths also work well. Pregnancy can be stressful, so whenever you feel any pain, initiate a deep breathing regimen to help in an instant. You'll be offering increased oxygen consumption to both you and your baby. To practice deep breathing, which you'll not only use during the pregnancy but also when you're in labor if you want to, breath in through your nose. Take a deep, abdominal breath and slowly let it out through your mouth. 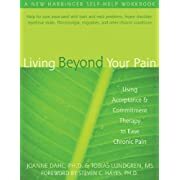 If you want to, you can add guided imagery, self hypnosis or the emotional freedom technique (EFT) with this to help you get even stronger pain relief when you're practicing deep breathing. Guided imagery is when you use visual images to redirect your focus off of the pain and into whatever it is you want to concentrate on. That could be you sitting seashore on a beautiful beach at sunset, for example - listening to the waves crash against the rocks. With self-hypnosis, it's different from going to someone else for a hypnosis session. In this instance, you are completely in control of the hypnosis and there's never any danger of you being "out of it" - you're never unconscious, just refocused in a different, more relaxed state of mind. EFT is the use of tapping on certain pressure points to replace the memories of your nervous system, which is responsible for the frequency and intensity levels of the pain you experience. 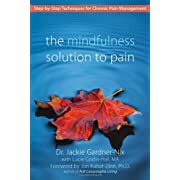 You're retraining your body's reaction to pain using gentle tapping techniques. It's similar to acupuncture, only it's acupressure instead. You can use positive affirmations about your life or your baby to help direct positive energy and healing to the place where you pinpoint the pain to be. Prenatal massage is the perfect pain reliever for early pregnancy all the way through and after the labor and delivery process. Most people - pregnant or not - would enjoy a massage that's being performed to relax the muscles and ease pain and tension. It's especially soothing to a pregnant woman whose body is rapidly changing and whose stability, mobility and circulation are compromised during the latter months. You can schedule prenatal massages throughout your pregnancy or have your spouse learn how to apply pressure for you that is specifically intended to relieve pain. Because you're pregnant, you probably won't be lying down like you would with a standard massage table. Instead, you'll lie on your side, or be seated in a massage chair. Your massage therapist might have a special table that does allow you to lay down on your stomach because the table has a hole carved out for your tummy and sometimes your breasts, since those become enlarged and tender during pregnancy. A therapeutic prenatal massage can help with back and leg pain in particular. You can speak up and let them know if there are particular sore spots you'd like addressed. You may even be able to find a midwife who can perform a massage during labor for you. You've probably seen videos or read articles about aqua births. This is when a woman decides to give birth in water, usually a tub designed with plenty of space and for utmost comfort. You can use that approach for childbirth as well - but you can also use it throughout your pregnancy. Water is very healing, and when you've gained weight and are feeling pain from the body changes, being weightless in water can be an amazing feeling. As a pregnant woman, you need to get your body's circulation going. You don't want to sit for 9 months of your life - it's not good for you, or the baby. You can use water to move around without feeling pain from the extra weight you're carrying. If you can, use warm water for your pregnancy-related water therapy. 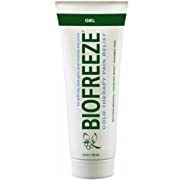 Not too hot - but warm enough to improve circulation, relax your muscles, and decrease the soreness and tenderness that you feel. You can use water therapy in a swimming pool or in your own personal Jacuzzi. Give yourself a treatment as often as you like. Make sure you also take precautions to make your environment slip-proof so that you don't fall since your center of gravity can be slightly off during a pregnancy. An epidural is for the labor and delivery portion of your pregnancy. This is one of the most popular forms of pain relief for labor because you're not out of it, it's not dangerous to the baby, and you can't feel a thing! An epidural will block the pain of your labor from the waist down. You won't be able to walk or move your legs after the medicine is administered. Someone will help you hold your legs up during childbirth if you need to move them. The shot is given between your spine and then administered with an IV over time. If you wait too long, your doctor might say you've passed the point of being able to get an epidural. You'll be sitting up and leaning forward or lying on your side while the technician administers the medications. The catheter is threaded and within 30 minutes, you won't feel a thing - contractions will come and go and you'll see them on the machine to know they're happening. Having an epidural doesn't just numb the pain of childbirth - it helps you get a lot of rest, which you'll need right after the baby is born. It also allows you to focus on the enjoyment of bringing a new life into this world! If you have blood pressure issues, you might need to consult with your doctor about whether or not an epidural is good for you. It can cause your blood pressure to plummet. A spinal block isn't used as often as it once was. This is a procedure where a narcotic is administered straight into your spinal fluid for a two-hour pain relieving option. The difference between this and an epidural is that an epidural is administered over tie with an IV and catheter, whereas a spinal block is a one-time shot. The medications might cross into the baby's blood stream, causing them to have trouble breastfeeding in some instances. Some women prefer to receive pain medications known as opiates when they're in childbirth, but most people don't go this route. They're generally given in small doses due to the side effects on both mother and child. That's how it can affect the mother. For the baby, since it crosses into his or her bloodstream, it can cause respiratory problems, trouble breastfeeding, and problems achieving the proper temperature. Depending on what your doctor approves of, you might be administered a medication such as Demerol, Morphine, or Stadol among others. Demerol is the first choice of opiates. In under five minutes, you see relief. Pregnancy and delivery should be a beautiful, relaxing time in your life. You want to spend your entire time imagining what it will be like to be a new mom, not mired in the frustration of dealing with pain. Choose an option that works for you and have a backup plan in place for severe episodes during your pregnancy or the delivery. For the rest of us that suffer from chronic pain (not pregnancy related) we need to continue researching pain management recommendations and trends for new therapies and treatments. There is no need to suffer in silence, when there are professionals out there who specialize in helping people who cannot find ways to manage their pain on their own. So don't settle for mediocre results. Keep researching and reading about how to improve pain management. Try the pain management methods covered here. Keep trying until you finally get the relief you deserve! 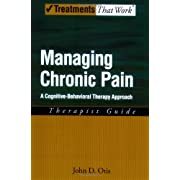 Below here I'm featuring more pages with helpful how-to-do-it tips on how to improve pain management. 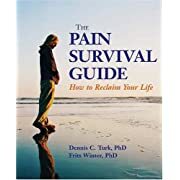 Feel free to submit your own story or article about managing pain and getting good pain relief results, and I will create your own page here with your contribution for the community to read. 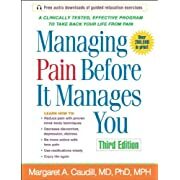 Back to HOME PAGE of this how to improve pain management section of the site.